There is only one place to bring your Mini brand vehicle for repair in the Berkeley area. The best place for the Mini service you need is Berkeley Motor Works in Albany, CA. This team has the expertise you need and specializes in working on European models to ensure your vehicle will be properly taken care of. Come in and see the folks at Berkeley Motor Works and let a Mini specialist work on your vehicle so that you can have your vehicle taken care of by someone that’s been trained the right way. If you’re looking for the best place for the Mini service you need there is only one name you need to know in your area. That name is Berkeley Motor Works in Albany, CA where the Mini specialist you need is working and will provide the auto repair service you need. 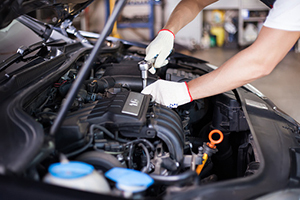 Whether you need to have the right place for the regular maintenance you need or to have your Mini vehicle experience a repair job in the Berkeley area the right place for you to go is Berkeley Motor Works where you’ll have the service you need performed on your vehicle. Come in and see a Mini specialist at Berkeley Motor Works in Albany, CA where you’ll enjoy the specialized training and expertise of the team that will take care of your vehicle the right way. This is where you want to enjoy a Mini repair in the Berkeley area and have the Mini service you need. This team can provide you with the right way to enjoy the ride on the road and keep your vehicle in excellent working order. Come in and see the team at Berkeley Motor Works with your Mini brand vehicle and its needs.